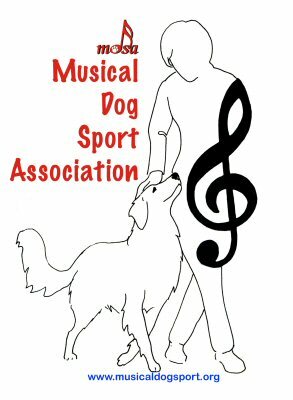 The mission of the Musical Dog Sport Association is to advance the sport of canine freestyle and to share the joy of the canine/human bond achieved through positive training, enhanced by the artistry of music and choreography. Created by freestylers for freestylers, MDSA defines Canine Freestyle as a dog sport in which training, teamwork, music and movement combine to create an artistic, choreographed performance highlighting the canine partner in a manner that celebrates the unique qualities of each individual dog. It is built upon the foundation of a positive working relationship of a dog and handler team. MDSA is proud to continue the tradition of growth and exploration of this new sport. We look forward to working in harmony with all as we strive towards our common goal to bring the wonder of canine freestyle and the joy of the dog and handler bond to even more people. The Musical Dog Sport Association was founded in 2005 and has had over 400 members to date. To see our complete history, click here.